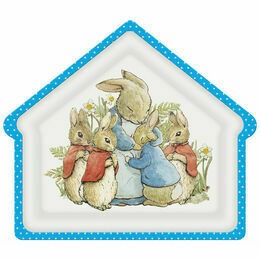 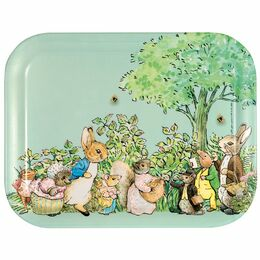 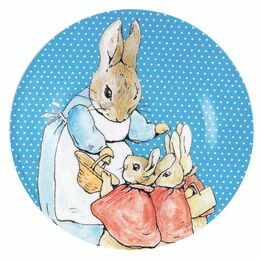 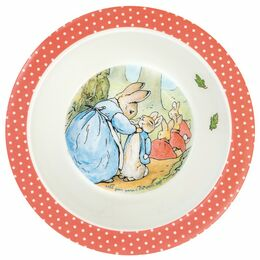 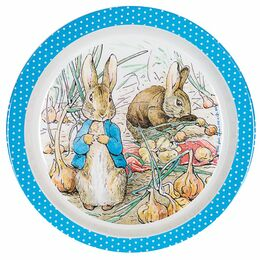 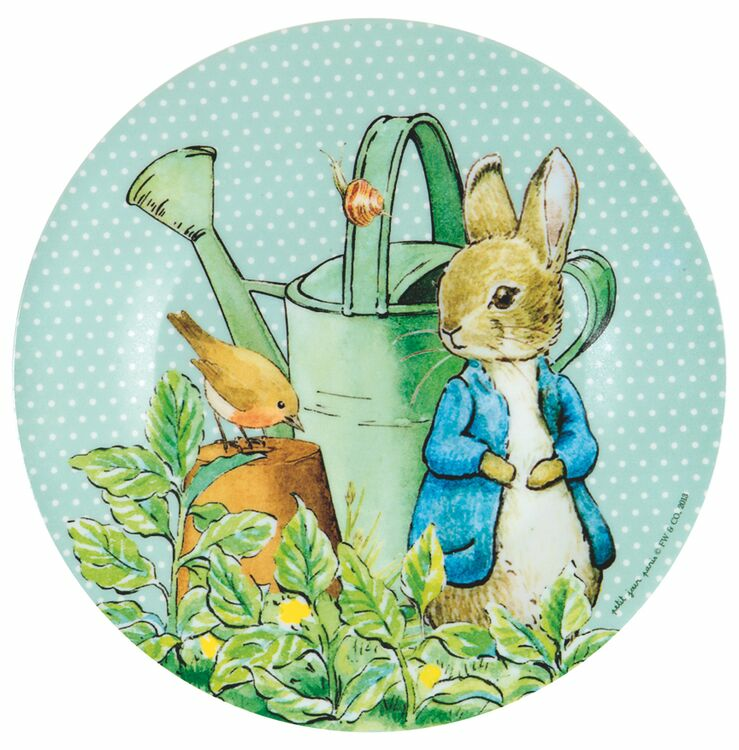 A delightful plate from the Petit Jour Paris Peter Rabbit collection of melamine tableware. 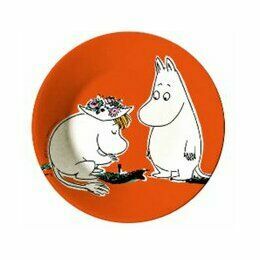 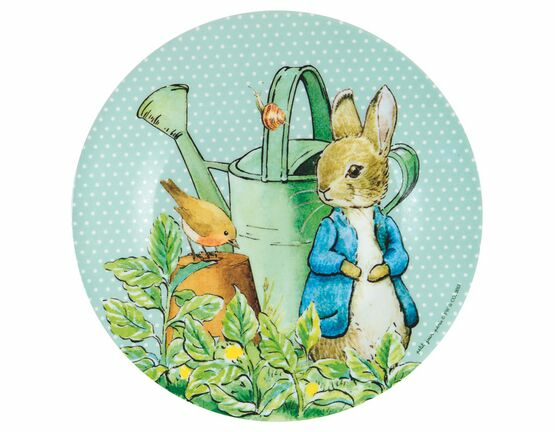 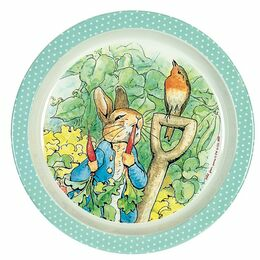 The plate pictures Peter Rabbit in Mr Macgregor's garden, together with a friendly Robin on a green dotty background. 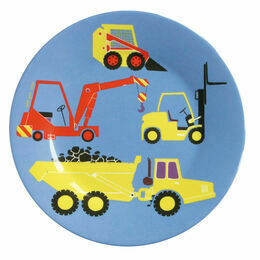 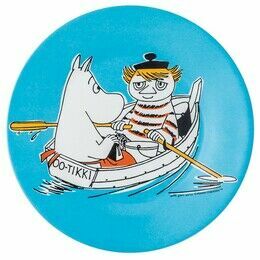 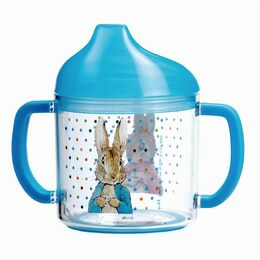 There are lots of other coordinating designs in the collection.